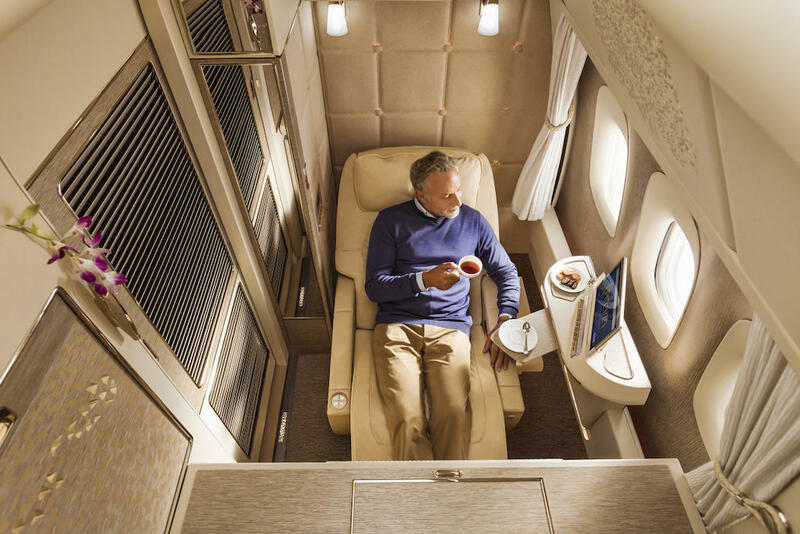 Emirates has always been held in high regard when it comes to their opulent first class cabins and now the airline is taking it to another level with their all-new fully enclosed suites. 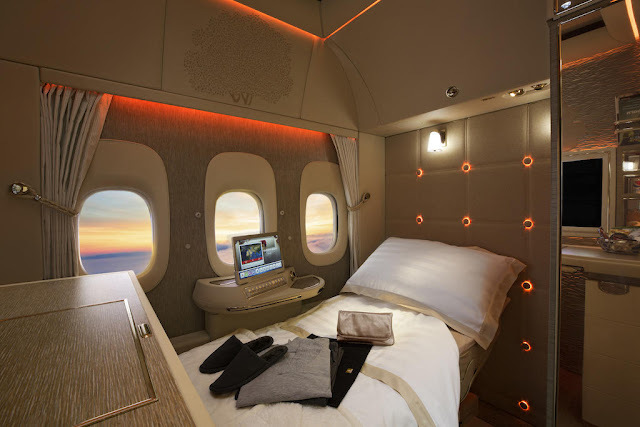 Launching in their 777 aircraft, the new suites will offer up to 40 square feet of space and feature floor-to-ceiling sliding doors and features inspired by Mercedes' flagship S-Class sedan. Each suite features a reclining lay-flat seat that can be placed in a "zero-gravity" position that emulates the feeling of weightlessness. 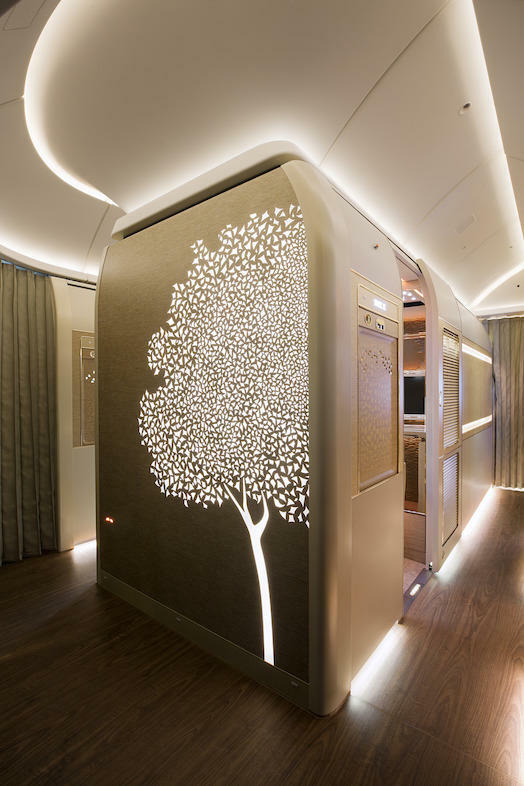 One of the most incredible features are the virtual windows, an industry first, which uses displays to project the outside view in real time. 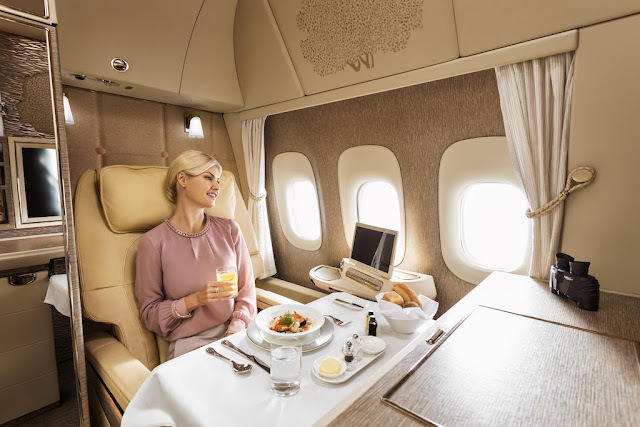 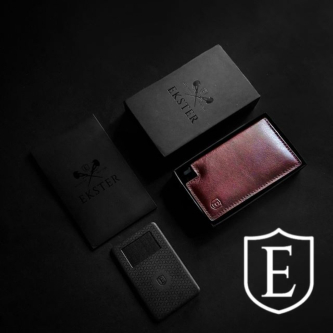 Other features include video calling to the cabin crew, a service window that allows drinks to be delivered without disturbing the passenger, on-demand dining, exclusive Byredo skincare products, a Bulgari amenity kit, Bowers and Wilkins noise cancelling headphones, a 32-inch HD display that has over 2,500 channels of on-demand content and it can also display your own media as well.